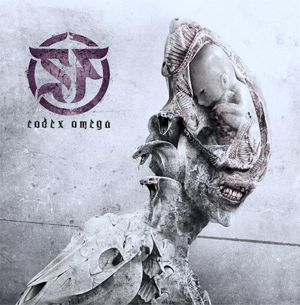 Gods of orchestral extreme metal SEPTICFLESH will release their unrelenting new opus, Codex Omega, on September 1, 2017 in North America on Prosthetic Records. As a follow up to the release of their first single, "Dante's Inferno", SEPTICFLESH have just dropped another huge track, "Enemy Of Truth". Watch/listen now below. Guitarist Sotiris V. comments on the track, "In the past it was much easier for someone in a position of power to silence an "irritating" mouth. In our age, with the evolution of communication and the high speed that information can be spread to the four corners of the world, new elaborate methods are being employed. And many claim to fight in the name of truth, but essentially they fight against it... many voices making noise vs. few voices speaking clearly. Can this turn the other way around?" Codex Omega will be available as a 2-CD set, on purple wax vinyl as well as a US indie retail store exclusive on white wax vinyl, and on all digital outlets. Pre-orders are up now and available HERE. "Our Church, Below The Sea"